Jillian at the beginning of one of our recent sessions. Over the past few months I've found myself engaged in conversations about "counseling" or "psychotherapy" or "therapy" with an unusual number of people. The topic comes up from time to time generally, but there's been a recent burst. That, coupled with my own spike in time with my therapist of ten years, got me to the point of wanting to write about it a bit. The stigma around therapy is odd to me. There's presumption that something is broken or wrong with you if you see a therapist. I view psychotherapy as the same as massage therapy and going and getting some deep tissue massage doesn't leave you thinking something is wrong with you. On the contrary it leaves you feeling great! I readily share my therapy experience; I love it! 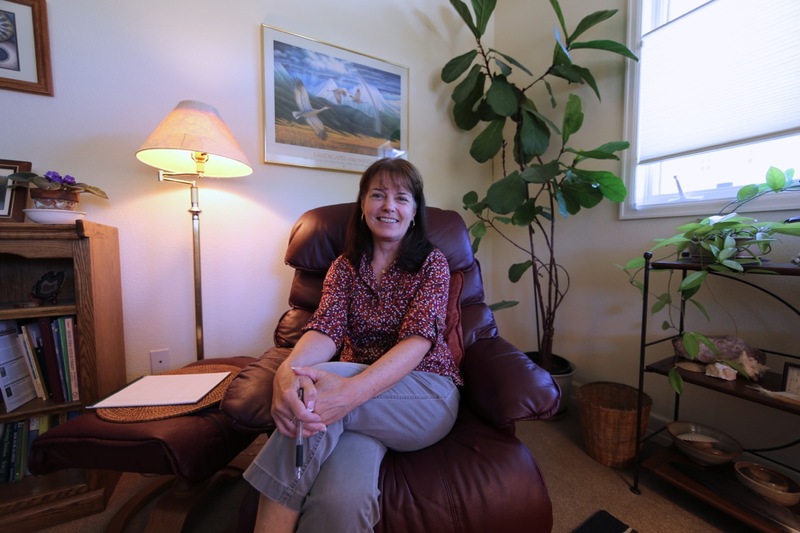 There are forms of psychotherapy that are indeed tightly focused on diagnosable psychological disorders. There are people with heavy challenges that sometimes require intense scripted therapies. That said, on my own journey I've dispelled much of conventional western medicine/psychotherapy. More and more I see all of us as "normal," simply with personality characteristics that sometimes don't conform to the world around us. "It's all relative." I don't see a "psychologist" or a "psychiatrist." I see a psychotherapist that specializes in areas that I believe represent the human experience. She helps me open doors and understand myself, and how to engage with the world around me at a core level. I don't have it all figured out. The connections between my mind, body, and spirit are ever changing, and I want constant calibration around them. Some people are self contained in their lives (though I question the true health of being so) and don't need to talk through stuff with someone (therapist, friend, spouse, barista, whatever). Some people find clarity, balance, guidance, direction in religious frameworks. Some people try to ground themselves in inanimate stuff like drugs, alcohol, or consumerism. Some people use art or their work as their grounding force. Some people get everything they need from friends, family, and/or a significant other. While I draw from nearly all of the aforementioned aspects of life, I can consistently find peace and alignment in my therapist, Jillian. I'm a talker. I need to talk through things all the time (it can drive the people around me crazy). Work related stuff gets talked out with colleagues. Home related stuff gets talked out with family. Personal stuff gets talked out all over the place, but Jillian provides perspective and guidance from a consistent, enlightened, place. Jillian has dedicated her life to providing judgement free, perspective, insight, tools, and guidance from a place of unconditional love. To me, she is enlightened, and so my time with her allows me to connect with someone who is consistently rooted in what I value and aspire to be. When I get off track, she's there to help me reconsider things. A few of the tools in her chest are EMDR, Enneagram, and general energy flow work. When we're just talking... we're just talking. When she taps into something that needs more discrete attention, she'll leverage breathing techniques or EMDR to guide things. My spouse grounds me in many, many, ways, but... we're busy parents and carving out time to hash through certain challenges isn't always possible. When we do find time to take something on, one party simply might be in a different enough headspace that progress is hard within that inevitably constrained time window; then the window closes and we're back at the day-to-day. I highly recommend that you find your Jillian. Having someone in your life that can sit completely outside your day-to-day operational reality and provide perspective is a powerful thing.